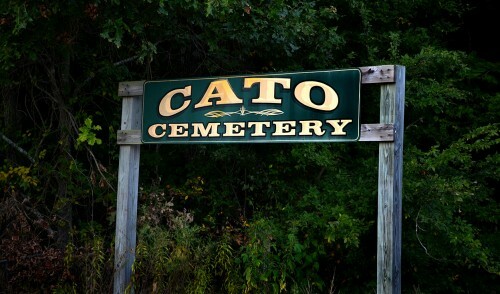 While wandering and wondering around Bollinger County looking for the Bootheel’s once wild and wooly Dark Cypress and the cemetery containing the mass grave of Confederates killed in the Battle of Mingo Swamp, Mother, my cemetery-spotter extraordinaire, saw this sign for Cato Cemetery. There are lots of stones marking the final resting places of Catos. I didn’t find one for “Slim.” I don’t know if his body was ever moved from the mass grave. I couldn’t find much history of the cemetery, but here are some partial listings of those interred there. 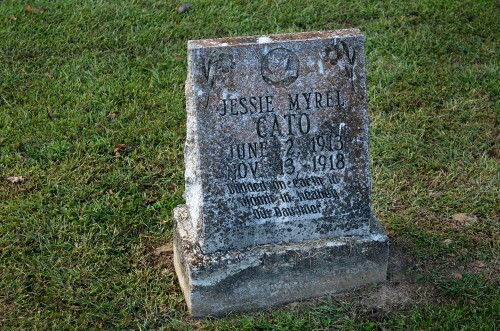 The UsGenNet site says the cemetery is located in the southern end of Bollinger County, section 10, township 28, range 9, one mile east of Arab off highway C.
It certainly WAS a “massacre.” As I heard it, he was standing on his front porch, holding a child in his arms, and he was shot so many times that his body was nearly cut in half! My grandparents, great grandparents, great great grandmother, and great great great grandparents are all buried in this cemetery. 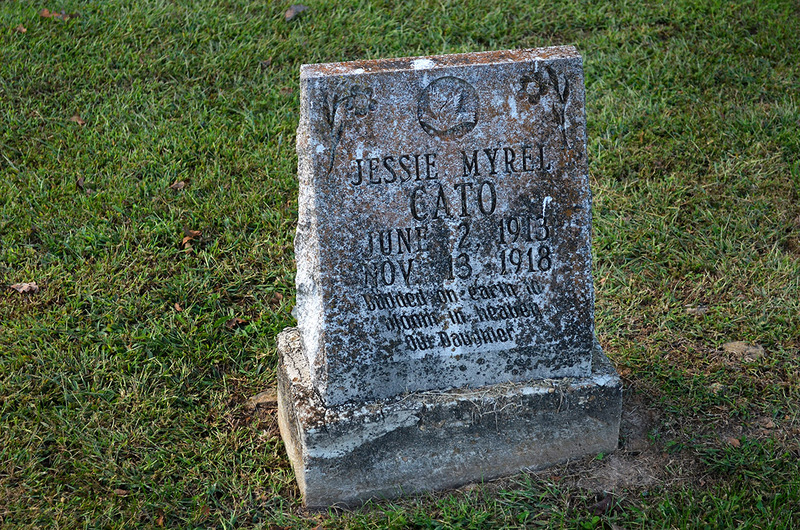 Sanford was my great grandfather and Jessie Myrel Cato was my great aunt. However, this is not the cemetery where the men killed in the massacre of Mingo Swamp were buried. 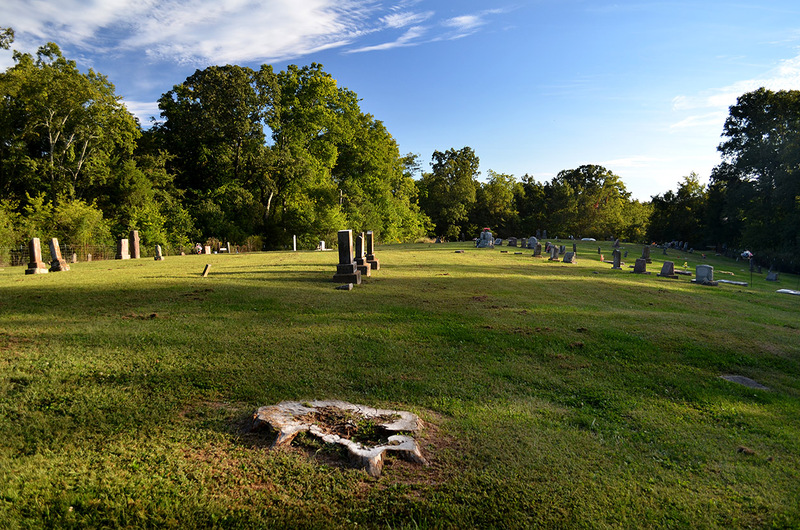 They were brought by wagon to the Greenbrier Cemetery. There is a monument there about the massacre and for the men buried there. Debra (Cato) dove, have you had an Ancestry DNA test? 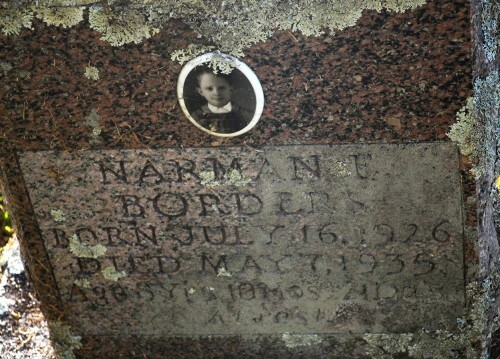 Norman Borders is my great Aunt Nora Harrison Borders son. Aunt Nora lived to 99 years. My grandma Opal Harrison Hanner was her sister and she lived to 94 years. They were in the same nursing home room. Sisters forever!! 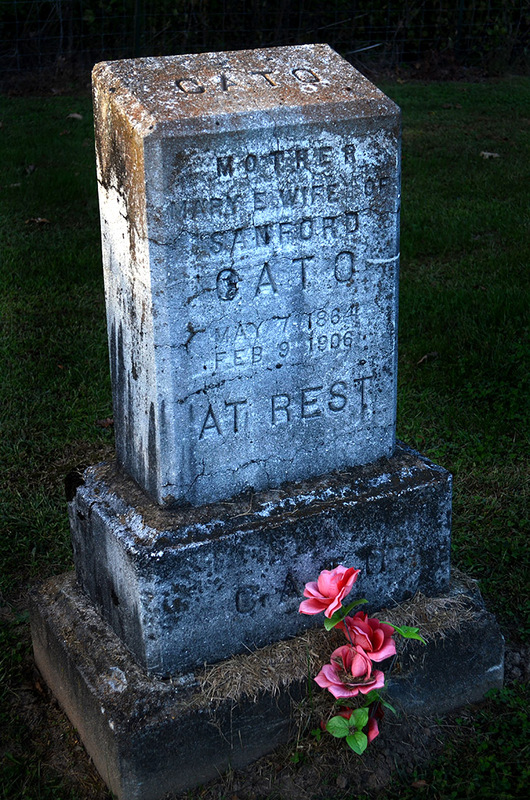 Lots of Harrison relatives are at Cato Cem. Banners at Brush Creek Cem.